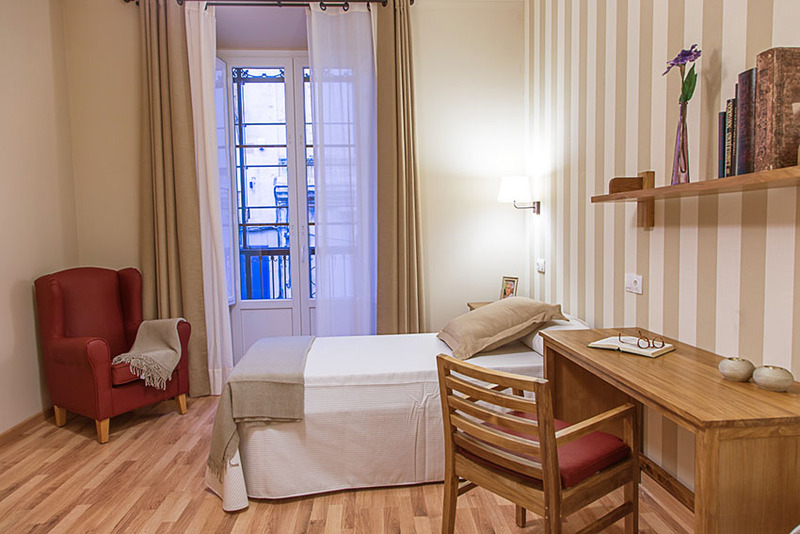 The DomusVi Condes de Corbull nursing home is designed with spacious, airy rooms, offering superb comfort and quality care to its elderly residents. The DomusVi Condes de Corbull Nursing Home for Elderly People is in an historic building which was once the palace of the Count and Countess of Corbull, in the heart of Jaén, close to City Hall and to the Cathedral. The Nursing Home for Elderly People has been completely upgraded and divided into independent cohabitation units suited to the differing needs of its residents, with their own living and dining rooms. This ensures we can offer them the personalised care they need. Transport: Bus lines 5, 8, 10, 11, 15 and 16 / Closest public car park: Mercado San Francisco. All the places at DomusVi Condes de Corbull are private.